The city of Mumbai is a bustling metropolis that is constantly on the move, with apparently no place for couples to grab a quiet moment. This fast-moving city doesn’t seem to pause for anyone. However, contrary to popular opinion, there are many places to hang out in Mumbai for couples. You can watch beautiful sunsets, take romantic walks on the beach and share a bhelpuri with your partner without a care in the world. If ever there is a competition for the most romantic places in Mumbai, Marine Drive will surely feature in the top rankers. The mesmerizing view of the Arabian Sea is truly unbeatable and the sea breeze blowing across your faces will definitely set the right mood for a fantastic evening ahead. Late evenings and nights are perfect, as the dazzling lights and cool breeze make the “Queen’s Necklace” a picture-perfect. Worli Sea-face has a long and wide promenade that is an ideal place to watch the lashing waves of the Arabian Sea from. The majestic view of the Bandra-Worli Sea link is another attraction for those who come here in search of some private moments. A late night drive with a loved one by the side is a great plan, as the air is cool and the traffic minimal. Top it off with a freshly-brewed coffee at Sadanand Coffee House for a memorable evening out. These terraced gardens are located at the highest point of Mumbai’s premium location, Malabar Hills. They provide a commanding view of Mumbai and its skyline and are ranked amongst the best hangout places in Mumbai for couples. Hanging Gardens have been built on a massive water reservoir. The greenery has been conserved well, and the animal-shaped hedges are beautifully maintained too. The park opens at 5 am and shuts its gates at 9 pm. Although the fort’s original Portuguese name is Castella de Aguada, its local name is Bandra Fort and is located in the western suburb of Bandra. It provides a clear view of the Bandra-Worli Sea Link, which connects the western suburbs to the mainland. You can cozy up with your partner and listen to the waves while the orange glob of melting sun sets right in front of your eyes. 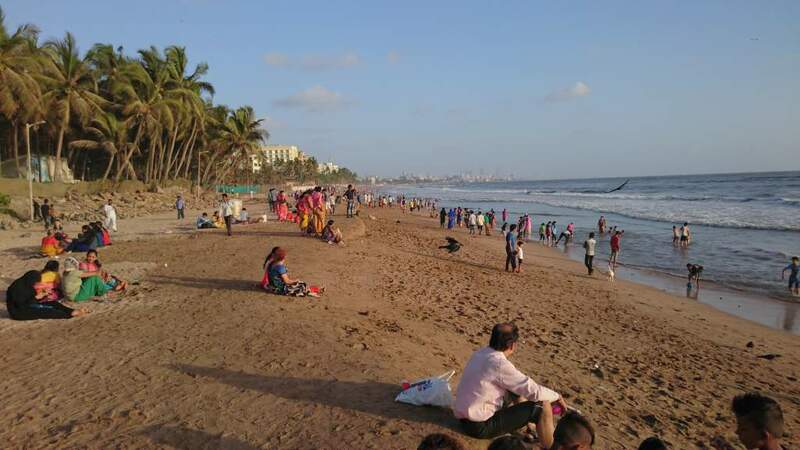 If romance is on your mind, and you plan to spend some quality time with your other half, Juhu Beach is the ideal location. Feeling the water lapping at your feet and the breeze caressing your faces as you take long walks along the entire stretch. Satiate your taste buds at the multiple Mumbai special snack or sip coconut water from the same shell as seen in retro movies (you could even get one of the tourist-hounding photographers to click a memorable snap). With a loving partner by your side, strolling along the sands early in the morning and enjoying nature in its full glory at Madh Island, is a moment worth waiting for. You will be spellbound by the fact that this place is close yet so far from the rushed city life. If you have planned an elaborate date that includes long, romantic walks followed by dinner, then Carter Road at Bandra West is where you must go. There is a well-maintained Jogger’s Park, a promenade, and many cafes and restaurants. There is true bliss in watching the sun go down while sipping coffee together and Carter Road makes it a memorable time for couples. Chhota Kashmir is truly a heavenly place to be in. The extravagant greenery in the surrounding area is responsible for the cool environment which is bound to enhance your mood. Chhota Kashmir has a small lake with boating and paddling facilities available. There is a nominal entry fee for entry into one of the most romantic places to hang out in Mumbai. Palm Beach Road is a long stretch of well-maintained roads that are perfect for that long, romantic drive, especially at night. Monsoons too provide the ideal backdrop to visit Palm Beach Road. 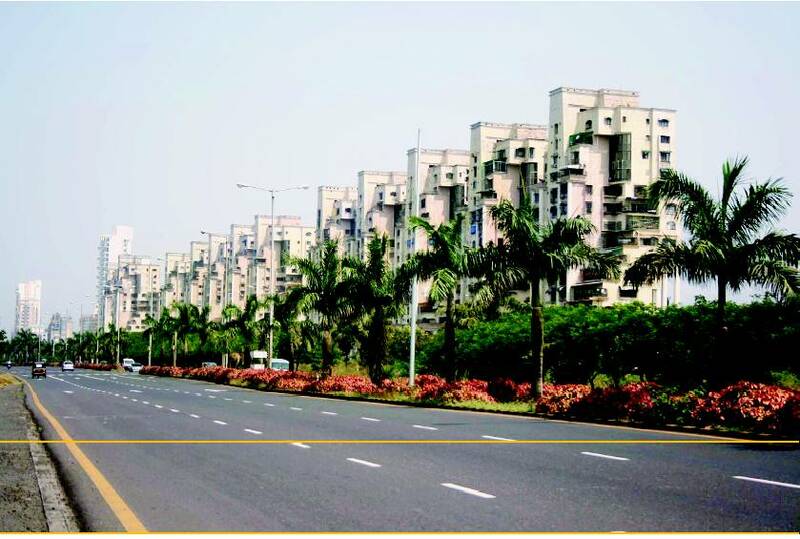 The 10-km stretch is dotted with palm trees that sway in the breeze and connects Vashi and Belapur. If you are interested, you can spot many migratory birds that visit the nearby wetlands and the Mumbai harbour along Palm Beach Road. Spread across acres of green forest cover and having a generous sprinkling of wildlife, SGNP or Borivali National Park offers great opportunities for couples to move around unhindered and unhurried. The park has many places to sit and relax, not to mention the many food stalls. Counted amongst the most significant landmarks of the city, Gateway of India has so much to offer to couples who want to spend time together. The unending Arabian Sea spreads out across the horizon till eternity and is complemented by an enthralling sunset. Ever since it was opened up a few years ago, the Bandra-Worli Sea Link attracts tourists and locals alike by hundreds. You can grab a taxi or drive your own car(two-wheelers not allowed) across this magnificent structure that has caught the imagination of all who see it. As a couple, check out its grandeur in the late evenings from Bandra or Worli and wonder how it has enhanced Mumbai’s skyline. This certainly the original “lover’s point” of Mumbai where couples love to cuddle and get cozy. The lazy and laid-back surroundings surely add to the romance of the place, in complete contrast with the rest of the bustling city. It also offers a vantage view of the Bandra-Worli Sea Link from its well-maintained promenade. Also known as Gharapuri, this is an island that is situated a few miles into the Arabian Sea. It can be reached by taking a motorboat or launch service from Gateway of India and is a fun and romantic adventure for couples. This 20-acre garden and recreation center is located at Napeansea Road near Malabar Hill. Dotted with large coconut trees swaying in the sea breeze, the park is a quiet and relaxing place for couples seeking quality time with each other. The great sunset view is awesome, and so is the fabulous view of the sea. Extremely well-maintained, it is easily accessible from the major railway and bus stations. If live theatre performances and theatre-screening of classics from Indian and Foreign cinema is your cup of tea (and your partner), then head to this outstanding locale. It is at Nariman Point and is a few meters away from the Marine Drive. The NCPA (National Council of Performing Arts) can certainly be a unique and stimulating place for couples with similar interests. Words of caution, avoid extremely remote places and try to leave before it becomes too dark, especially when the place is away from civilization. Use common-sense and be practicality while choosing to spend time together at a public place. This will ensure that you spend truly happy moments and cherish them forever. Do you have a favorite hangout we haven’t mentioned? Share it here and spread the love!